Technical information to new generation reciprocating saws can be downloaded. Powerful, super-handy electric tool for universal free-hand sawing. Only 2.4 kg. 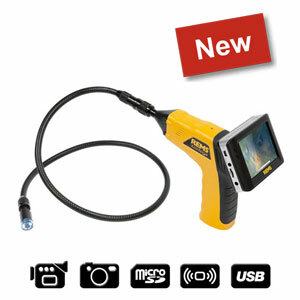 Ideal for assembly, dismantling, repair. With Vario-Electronic. Steel pipes and others Ã˜ up to 6", 160 mm. Other metal profiles, nail-embedded wood, pallets up to 250 mm. Plunge-in sawing for plastic pipes Ã˜ up to 1600 mm. 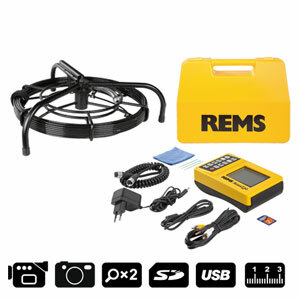 REMS Panther ANC VE â€“ super small, super light, super handy. Only 2.4 kg. Only 32 cm long. Vario-Electronic. REMS Cat ANC VE â€“ saws anything, anywhere. Steel pipes and others Ã˜ up to 6", 160 mm. Other metal profiles, nail-embedded wood, pallets up to 250 mm. Plunge-in sawing for plastic pipes Ã˜ up to 1600 mm. For difficult to cut materials, e.g. stainless steel, hard cast iron pipes, use REMS Tiger ANC SR with electronic speed regulation. REMS Tiger ANC â€“ the saw for the pipe fitter. Saws effortless, fast, right angle. 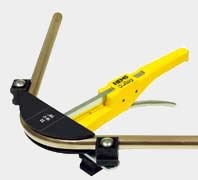 REMS Tiger ANC VE â€“ the saw for the pipe fitter. Saws effortless, fast, right angle. Vario-Electronic. Steel pipes and others Ã˜ up to 6", 160 mm. Other metal profiles, nail-embedded wood, pallets up to 250 mm. Plunge-in sawing for plastic pipes Ã˜ up to 1600 mm. For difficult to cut materials, e.g. stainless steel, hard cast iron pipes. 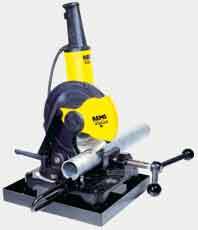 REMS Tiger ANC SRâ€“ the saw for the pipe fitter. Saws effortless, fast, right angle. Speed regulation. Powerful, handy pneumatic tool with patented guide support for effortless, fast and right angle sawing anywhere on site, without vice. Also for universal free-hand sawing. Ideal for use in dangerous, e.g. in wet environment. For assembly, dismantling, repair. 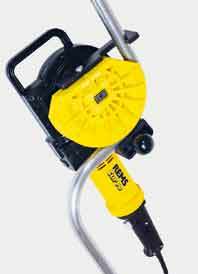 REMS Tiger pneumatic â€“ for sawing in dangerous environment. Saws effortless, fast, right-angle. Unique, patented guide support for 400% additional sawing force. Sturdy, square, patented lift rod. Oscillating drive with ANC. 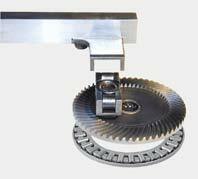 Aggressive orbital action for fast feed forward sawing and long service life of saw blades. Universal, patented saw blade clamp. Powerful, handy electric tool for universal free-hand sawing. No cable. Only 3.5 kg. Ideal for assembly, dismantling, repair. With Vario-Electronic. REMS Akku-Cat ANC VE â€“ saws anything, anywhere. No cable. Extremely versatile and powerful. Vario-Electronic. REMS special saw blade â€“ for right angle sawing and for fast dismantling of steel pipes with power transmitting guide support. Special saw blades for right angle sawing and for fast dismantling of steel pipes with power transmitting guide support. Steel pipes Ã˜ up to 4". Double tang mounting, high stability. Extra thick, resistant to bending and distortion, corrugated tooth pattern. Universal saw blades for free-hand sawing and for sawing with power transmitting guide support. Instead of many different saw blades. Steel pipes and others Ã˜ up to 6", 160 mm. Other metal profiles, nail-embedded wood, pallets up to 250 mm. Plunge-in sawing for plastic pipes Ã˜ up to 1600 mm. 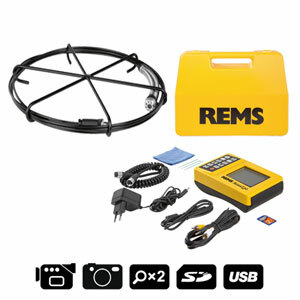 REMS universal saw blade â€“ for all sawing jobs. For free-hand sawing for many purposes. 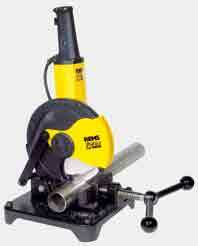 Compact, portable circular pipe sawing machine for burr-reduced, right angle and rapid sawing. Ideal for stainless steel and copper tubes of pressfitting systems. For job site and workshop. Stainless steel tubes, copper tubes and other materials Ã˜ up to 76 mm. REMS saw blade Ã˜ 225 mm. REMS Turbo Cu-INOX â€“ burr-reduced, right angle, rapid. Burr-reduced sawing through double clamping vice. Powerful, e.g. Ã˜ 22 mm in only 4 s. Easy to transport. Ideal for pressfitting systems. Compact, portable, universal circular sawing machine for installation, metal working and industry. For job site and workshop. REMS saw blade Ã˜ 225 mm. REMS Turbo K â€“ the most powerful in its class. Progressive drive, e.g. 2" steel pipe in only 5 s. Easy to transport. 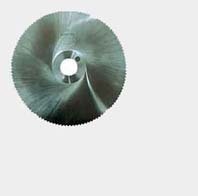 REMS universal circular saw blade HSS-E (cobalt alloyed) fine-toothing, 225x2x32, 220 teeth. Very long service life.